Details on the world, characters, and interview bits. Read More: Screenshots from Famitsu’s online version of this report. 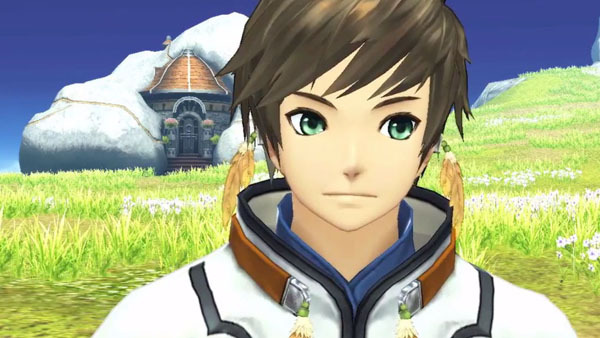 Famitsu this week has the first full preview of Tales of Zestiria, Namco Bandai’s 20th anniversary title in the Tales series, coming worldwide to PlayStation 3. Find the full set of new details below. If you missed the debut trailer at Jump Festa this weekend, catch it here. The continent of Glenwood, which is the setting of the story, is a land fought over by the Hyland Kingdom and Rolance Empire. There are several faiths in this land, but oddly, beings known as “Seraphs” commonly exist. The reason these Seraphs, which no one has seen, commonly exists in all faiths is because there are people who can communicate with the extremely rare group and who appeal to them. These people who borrow the power of the Family of Heaven and manifest extraordinary power are called Doshi by the people, and come to be considered messiahs bestowed with the power of gods. After a long time passed, from the depths of a forest no one can enter, there is a “Shrine Grove” made to resemble a utopia where people and Seraphs live. And for a long era, “impurity” spread throughout the continent. But main character Sorey is unaffected by this. It is here that he lives isolated from the physical world, and therefore grows to become a pure-hearted young man. Scenery projected as orange colored buildings were once “Streets of Scholarship,” and the large tree in the plaza is sacred. However, there is gossip about ghosts who appear in streets. The ruins on the hillside were made in the distant past. Apparently, they are ruins originating from some religion. You can see rare plants and animals in the wetland area, and what was once a bridge and a wooden road has been left to rot. In the continent of Glenwood, there are big marshes and volcanoes, as well. The current civilization has over 1,000 years of history, but is dotted with ruins from an even older era. The Hyland Kingdom is a country with large areas of mountains and plateaus. It held a culture that respected faith and form, but now people’s lives have diversified and tradition has faded. The government is separated from the hand of royalty and nobles, and a bureaucratic organization is being molded. The Rolance Empire governs the biggest area of land on the continent. Fertile plains occupy the most of the country, and is the foundation of a military force. The scale of the capital city and culture is the greatest, but the disparity between areas is large. The emperor used to have absolute power, but now the Rolance Church, with its old traditions, is increasing its influential voice. Sorey (voiced by Ryouhei Kimura) – 175 centimeters tall. His weapon is a one-handed ceremonial sword. He is a young man raised in the Family of Heaven Shrine Grove, and taking advantage of a book called the Record of Heavenly Bequeathments, he is interested in the ancient ruins. His current dream is to pursue the Romantic ancient times. Kind and relaxed, he honestly expresses his emotions. He has an overly optimistic side as well, but his pure and positive character fascinates those around him. As said in the prologue, Sorey, who holds a high stress on his spirit, is easily aimed at by the “Haunting Demons” born of impurity, and has been prohibited from going outside the village. As for what he can do, he was able to read the Record and explore the ancient ruins nearby, but in the middle of his exploration, he was trapped in their collapse when he meets Alisha. Alisha (voiced by Ai Kayano) – 161 centimeters tall. Her weapon is a long spear. A princess at the lowest rung of the heirs to the throne of Hyland, she has a bright and feminine character by nature, but as a matter of course is treated as a mere knight and speaks in strict masculine words. Her mother’s social position is low and she is treated poorly as royalty, and her company is disliked by the cabinet ministers. From her native kindness, she tries to do something about a world that cannot stop disasters and wars. But these actions are difficult from her position in the kingdom. This time, the game delves into the “abundance of the heart,” but from the approach of Tales the keyword that is drawn is “Zest” (passion, zeal). At a glance, Slay may not look like the zealous type, but his actions and way of life hide a zeal that accumulates in his heart. The Tales series has focused on themes of justice and faith until now, but Zestiria furthermore draws the rooted ‘zeal’ from the front. Up until now, the fields were basically running along a highway, but Zestiria is not like this. A camera for a pleasant searching system is being prepared. Alisha is in the lowest rung of the royal hierarchy and is not of high ranking in the nobility. She chooses the life of a mere knight, but also enjoys it. Slay’s positive words and actions neatly correspond with his serious type, but as the story progresses an unexpected side will also be seen. The battle system is based on sword and magic fantasy, and the epitome of gameplay is consistently changing (the Japanese here is a bit unclear). The evolution of Linear Motion battle System and further surprises are being prepared. A focus on dragons is a first for the series, but as seen in the logo it is closely related to the story. The game development state of affairs: we’re in the middle of developing the systems and graphics, while we’ve solidified the scenarios and character design. The manufacturing process of games and anime is going to become tough, but I’m hoping to keep up a befitting fighting spirit. As we turn toward the release date, we’ll plan events and information releases.